Swedbank’s ties to potential money laundering did not surface for the first time this year. The ties of Swedbank and Danske (known as Hansapank and Sampo at the time) were first pointed out by a report of criminal conduct sent to the Estonian prosecution by head of Hermitage Capital Management Bill Browder in 2012. Based on that report, Eesti Päevaleht wrote in February of 2013 how dirty money associated with the Magnitsky affair could have moved through accounts at Hansapank. The news also reached the bank’s employees. 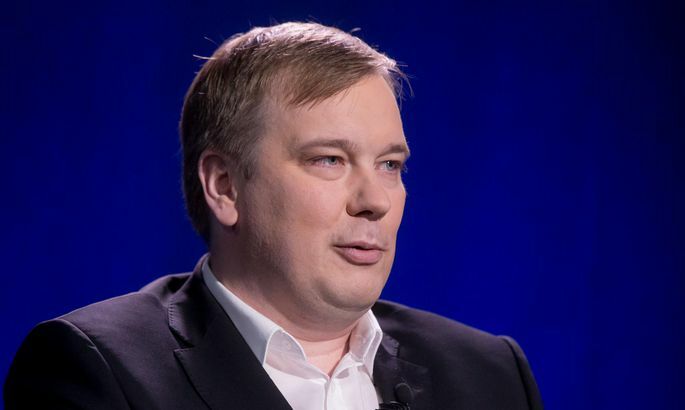 Former head of anti-money laundering at Hansapank Toomas Tuuling (2012-2016) investigated companies associated with the Magnitsky case at the time. The results of the in-house analysis have not been made public. CEO of Swedbank Estonia Robert Kitt now admits that transfers connected with the Magnitsky affair were reviewed at the time. Why hasn’t the bank mentioned the audit before? “We have a lot of in-house matters we cannot discuss openly,” the Estonian CEO explains. Tuuling is also reluctant to reveal the results of the audit but hints that there was little to go on. “We only saw a very small part of transactions. It was not enough to conclude where it came from and where it went. That was all,” he says. SVT suggests the bank’s analysis also reached the Estonian police’s money laundering data bureau (RAB) but adds that it once more came to nothing. “They probably had more information than we did by then,” Tuuling offers, likely pointing to the report of criminal offense from 2012. A conflict of interest can also be seen during the period in question. The management of RAB went to Aivar Paul in early 2013 who had been responsible for anti-money laundering efforts at Swedbank and Hansapank before that. This means that RAB was in charge of evaluating its director’s past performance when processing the Magnitsky case. How did the agency make sure a clear conflict of interest did not get in the way of the investigation? “That is a good question, but the data bureau is made up of the general department and two services: those for monitoring and analysis. The latter employed a person who decided what would be processed,” Aivar Paul explained. He is convinced the conflict of interest could not have affected what was investigated at the time. “If the question is whether I could somehow affect information that came in from Swedbank, I would rather they looked into it more thoroughly,” he explains. Bill Browder said in an interview to SVT that the problem with small countries is that the inspectors and the inspected tend to trade places in specific fields, such as money laundering. “It creates an unregulated environment when everyone’s interests clash, which might to some extent explain Estonia’s inactivity in this matter,” he said. Aivar Paul, who currently works for LHV, is among the most experienced and sought-after anti-money laundering experts in Estonia, and none of his colleagues can believe he could have swept anything under the rug. “Can you imagine me sending out reports from the bank and then going to RAB to hinder the investigation?” he asks. The version of the public prosecutor’s office is that the investigation of the Magnitsky affair in Estonia went nowhere mainly because of lack of international cooperation. Information available to Postimees suggests Swedbank has carried out a number of other audits on suspicious non-resident clients. Kitt once again confirms this: the CEO says that transfers have been analyzed after each scandal that has pointed to Swedbank’s potential ties to money laundering schemes. As has been shown, Kitt cannot reveal the content and conclusions of these reports. Postimees believes Swedbank first audited so-called dangerous non-resident clients and dropped 600 accounts already back in 2007. The next such audit was launched in 2009, it took three years and culminated in the bank dropping more than 300 high-risk accounts. There were other sweeps, and by late 2015, deposits of high-risk non-resident clients made up just 1 percent of the bank’s portfolio, down from 10 percent previously. That is likely the reason Swedbank could say last week that it has gotten rid of all suspicious clients by now. “Yes, we have parted ways with non-residents. When, how many and how exactly – we have not divulged statistics,” Kitt says. Toomas Tuuling explains that there were several reasons for dropping non-resident clients: changes to international rules, ethics and the bank’s values. “Controlling them all was impossible. It became increasingly clear,” he says. SVT suggests Bonnesen received the latest in-house audit in September of 2018. It is claimed it too made mention of formerly dangerous connections to participants in the Magnitsky affair. Bonnesen has categorically denied ties so far.